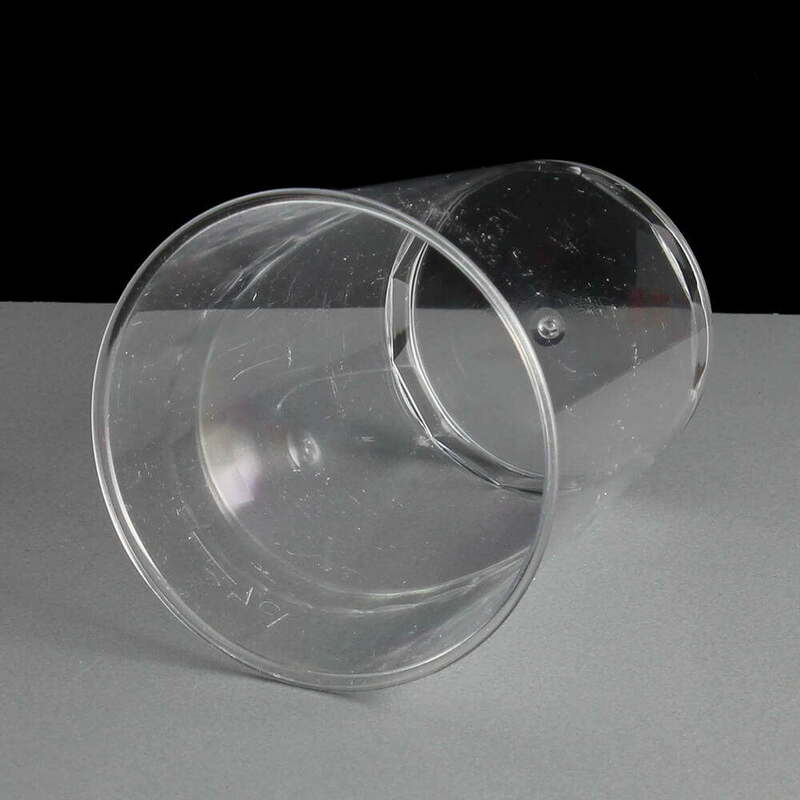 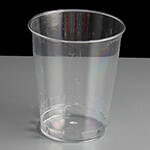 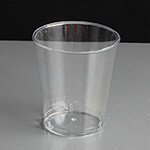 These are our largest disposable plastic tasting shot glasses with a capacity to rim of 80ml / 8cl and are the perfect disposable alternative to normal glass. 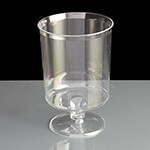 These glasses are manufactured in the UK from clear hard walled polystyrene plastic and are ideal for the more generous servings of wine or other drinks sampling at beer festivals, wine tasting etc. 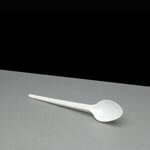 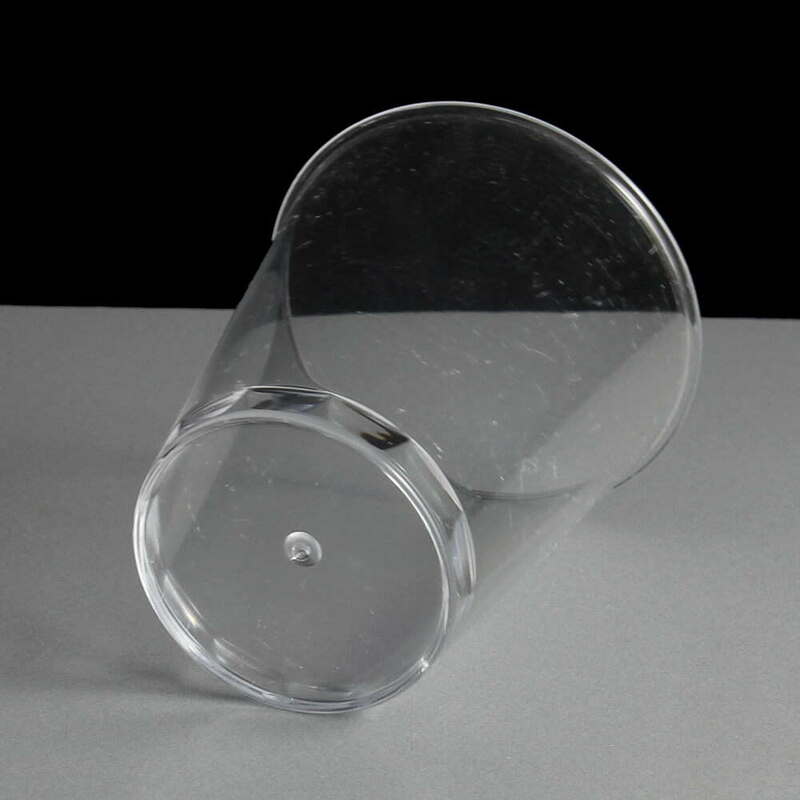 As the top width is a shade under 50mm and base 35mm, it is also used by some of our customers for small desserts. 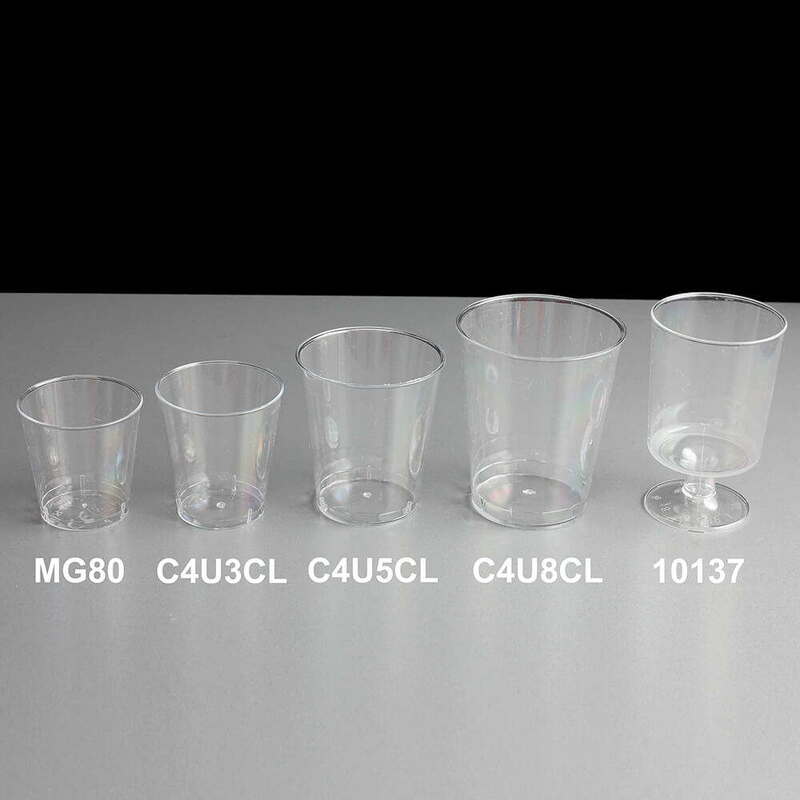 The C4U8CL is lined at 70ml / 7cl but these are the only markings on the glasses. 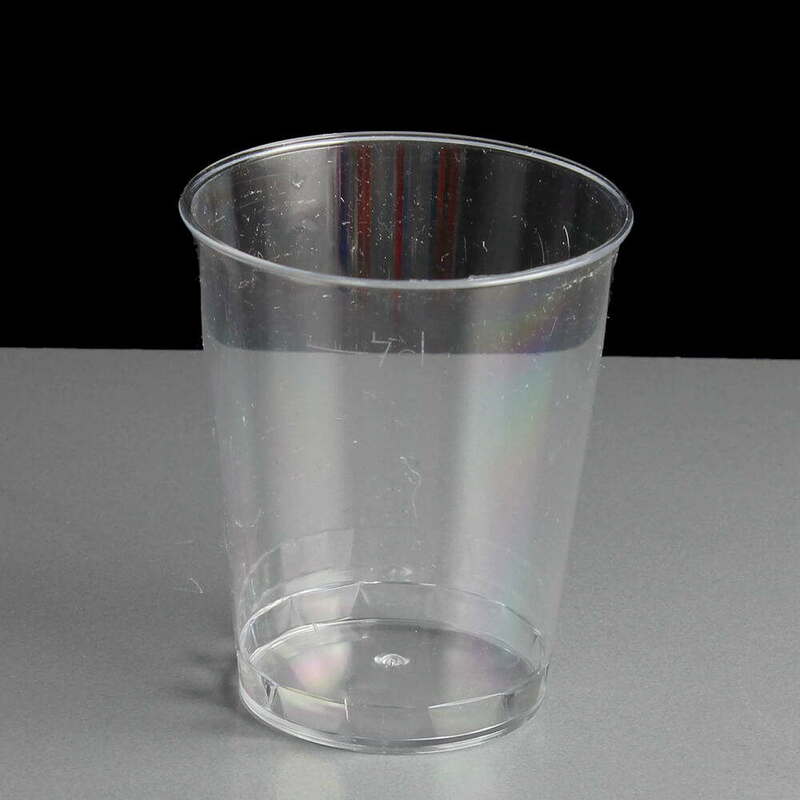 There is a deocrative design 6mm up from the base of the glass but otherwise crystal clear for presentation of promotion drinks or desserts. 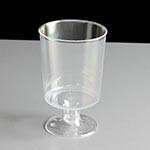 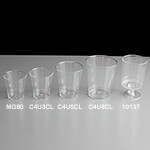 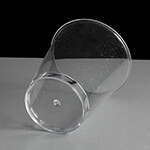 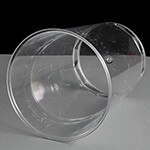 Feedback for 8cl / 80ml Tasting Glass - Required: Box of 800 has been compiled from 0 reviews.